Babies need constant attention, and obviously, you can be in their room every minute of the day. This is exactly the reason for which baby monitor have been developed. 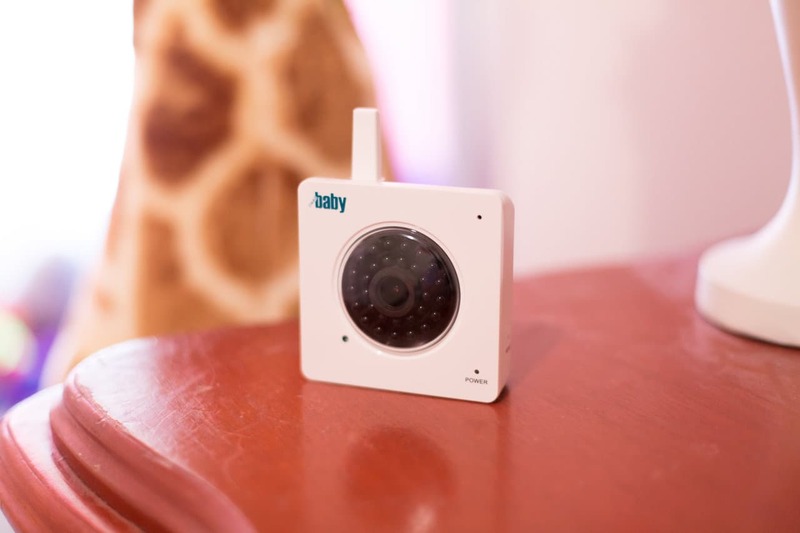 At first, baby monitors emerged only as audio devices targeted at infant care but over time they developed into more complex machines and they now come with added video cameras and connected features which allow you to always keep an eye and an ear on your little one. 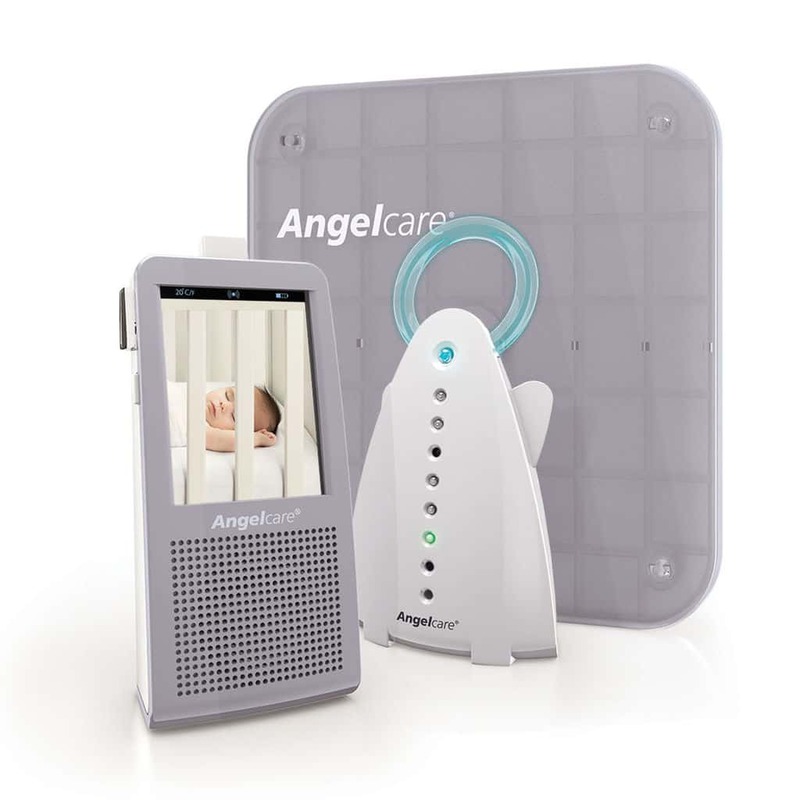 Today’s baby monitors open up a gateway to a new exciting world of infant based gadgetry. 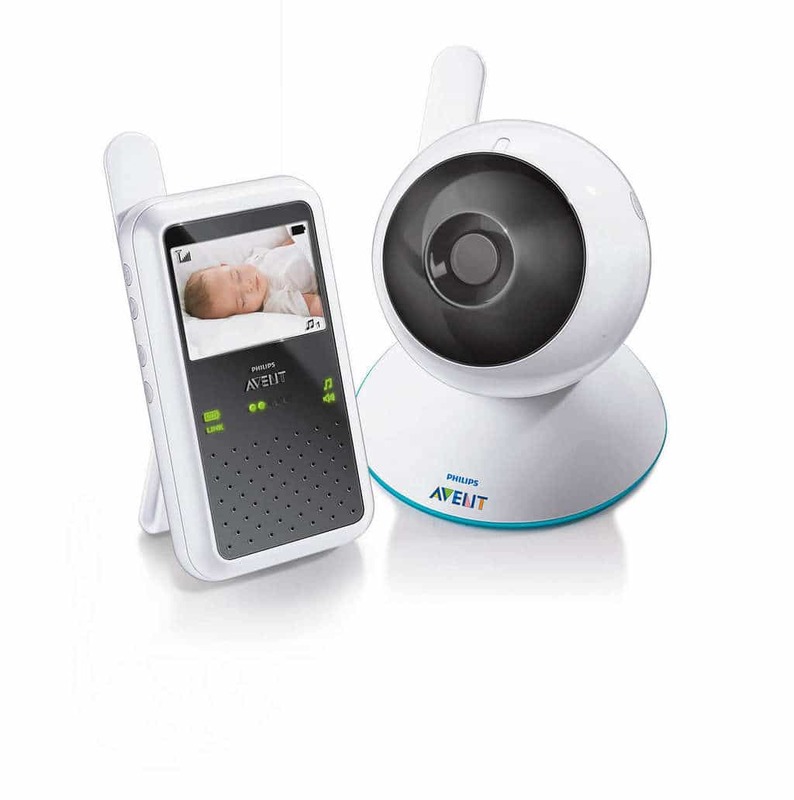 Most modern connected baby monitors are home security cameras, and the devices allow you watch your child’s location with color video, night vision and also sound. But as baby monitors are targeted at watching your baby, and not, your home, they sport pretty different features than security cameras. 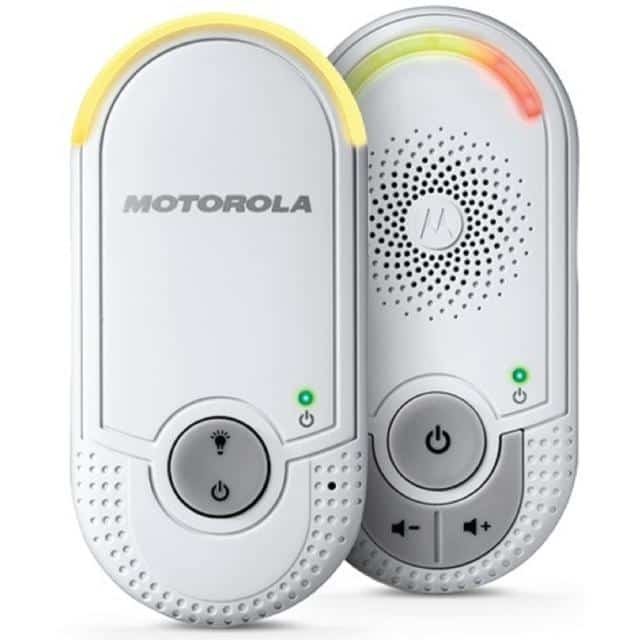 For instance, night vision is crucial for watching your little one sleep from another room, and it is included in most baby monitors these days. On the other hand, motorized pan and tilt, a feature that allows you to swivel the camera from another location is not such a popular feature but it sure comes in handy if you want to scan your baby’s entire room. High definition is also great, but you really don’t need the highest-res sensors to keep an eye on your child, and that’s why most monitors feature 720p cameras instead of 1080. So, the traditional analog monitor was replaced by app controlled, HD video, temperature analyzing, and motion sensing tech that can put most home CCTV systems to shame. Watching your kid from one moment to another is much more important than browsing over footage from previous nights, and this is why most baby monitors don’t make a big deal out of saving videos even if they do use built-in storage of the ability to store data via a cloud service. Most of them will take snapshots when detecting movement, but won’t offer time-lapse videos. These features are usually useful for security cameras when you want to identify a burglar, but they won’t be helping you a lot with watching your baby. Most baby monitors will offer various options instead for letting you know if something’s not right. 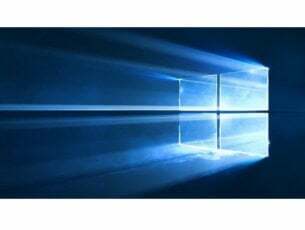 As a result, the devices usually feature humidity and temperature measurements and alerts and notifications in case of movement and lack of movement. Most baby monitors are connected to the Internet, and they allow you to watch your child with your mobile device via an app. For this reason, you will not always get a standalone display to go along with the camera. Two-way audio is another important feature of a good baby monitor because the built-in speakers let you talk to your baby from another room. In case your little one wakes up and starts screaming, and your device starts emitting weird noises, you won’t have to jump out of your seat spilling your dinner all over the place to reach you kid. You can just hit the two-way audio button and assure the baby that you’re coming. 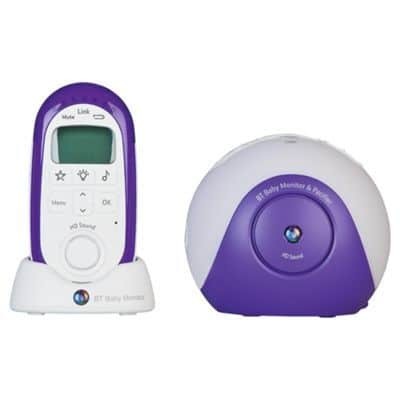 Some devices will even play to your little one calming and soothing lullabies. Other models even have mini projectors or light that will display lovely images in your baby’s room with the push of a single button. These being said, we’ll show you some of the best baby monitors we gathered in a collection. The Withings Home is a doddle to set up and it will work seamlessly with any iOS device. All you must to do is plug the unit, download the Withings Home app, locate your broadband router, type your password and you’re done. It can be set to trigger on both noise and motion and it can stream HD footage to any iOS while also recording events to the cloud just like a security camera. More features that are baby-related include infrared night vision, the possibility of talking to your baby using the camera’s speaker and the option of playing lullabies. You can buy the Withings Home monitor device from Amazon. The iBaby Monitor M6S is a full-featured baby monitor which uses your mobile device to keep tabs on your child. It will offer excellent 1080p video and a lot of features including environment monitoring, pan and tilt, two-way audio, and motion and sound detection. The device doesn’t feature web access and this may be its only minus. You can buy the iBaby Monitor M6S monitor device from Amazon. This digital baby monitor sports lots of features to keep you relaxed and content while your little one is alone in another room. You have to download the Mydlink Baby Camera Monitor app on your Android or iOS device and all that’s left to do is to follow the setup wizard. The app’s interface is an intuitive one that allows you to receive live streaming on its 720p camera and it can also record video and images to the unit’s MicroSD. It also includes a few lullabies and it can send alerts to your mobile device in case the room’s temperature drops below a preset range. It also features a two-way audio button which will come in handy. 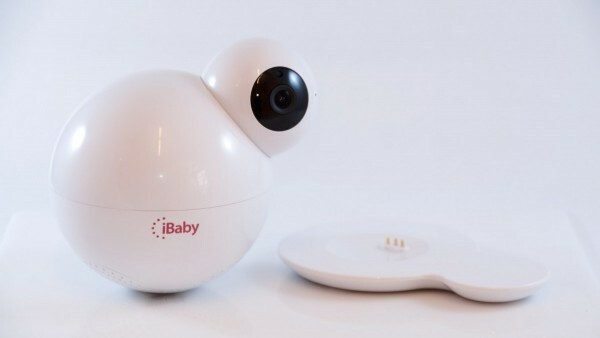 This is a camera that allows you to keep tabs on your little one from your mobile device. It features sharp video quality, and it plays multiple lullabies. This HD monitor uses motion and sound detection to alert you when your baby is moving or crying. The device also sports a few baby-centric features such as speakers, multi-color nightlights and also a mini projector that will throw a beautiful colorful pattern on your baby’s ceiling. This sophisticated video monitor is stylish and discrete and it will switch automatically between full color and night vision. 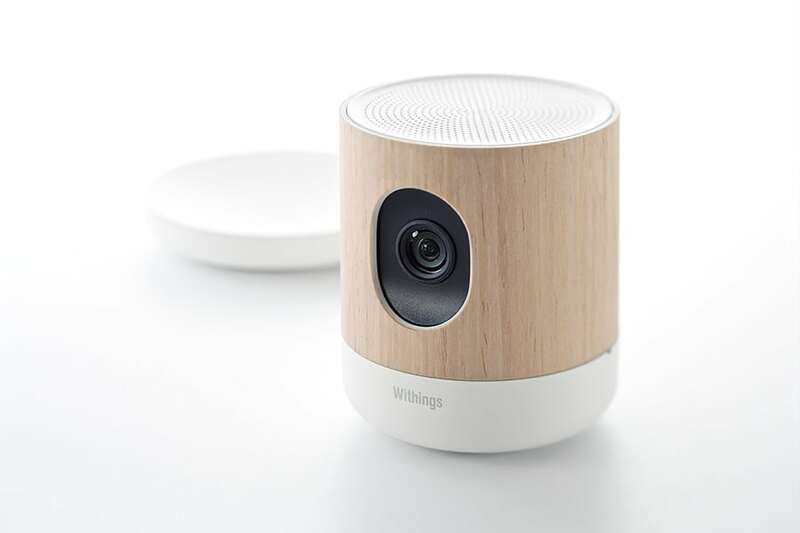 It also features the ability to pan the camera and zoom in and once you finished with the close ups, you can also select a lullaby and the best night light options for your little one. 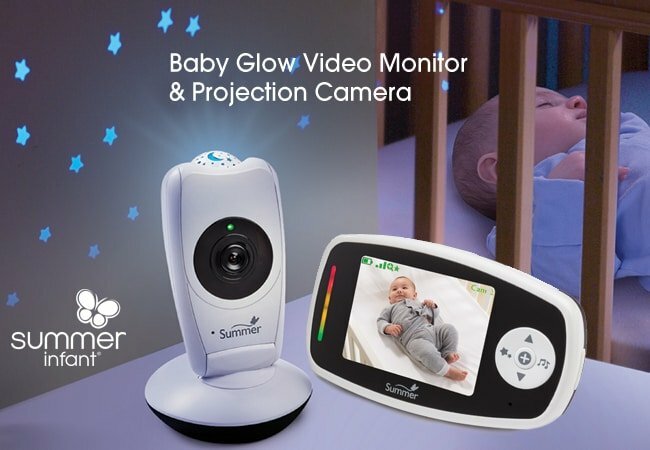 The 2.4 high-res video screen features crystal clear picture quality and the automatic infrared night-vision will allow you to see your baby in the dark. This particular device has a unique gimmick that really recommends it and this is the optical zoom lens. Other than this, it also features some less-obvious virtues that build a strong case for choosing this quite recent baby monitoring device. 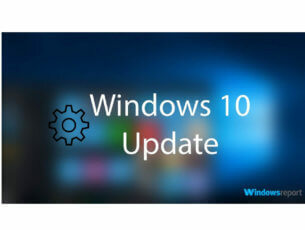 It has enough stand-out features that add flexibility to it and that make it worth your consideration. 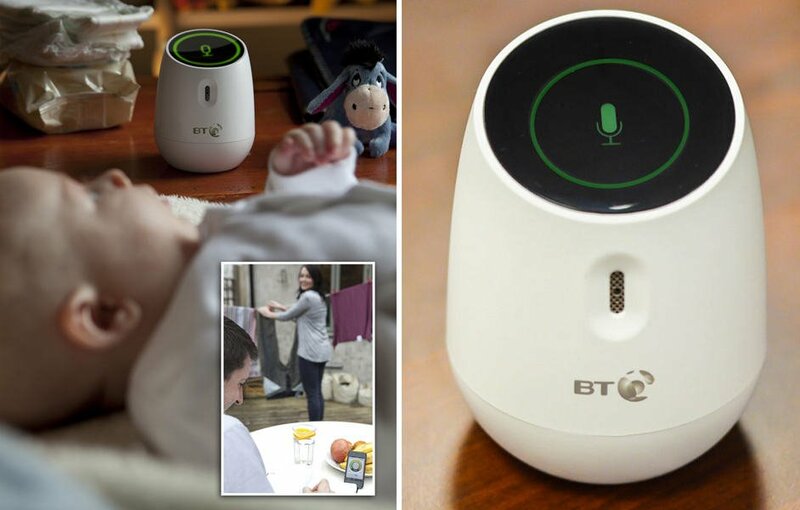 This is a baby monitor that will use your iOS pocket tech without having to pay a fortune for it. The device will hook up to your broadband and it will provide always on audio over 3G, 4G or WiFi to your iPad or iPhone. An app destined for Android is also on its way. You can register up to six users, and three of them are able to listen all at once. 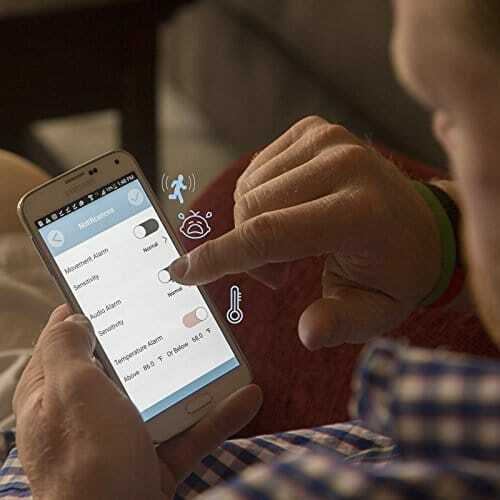 The device is simple to pair and very easy to control via the free application. 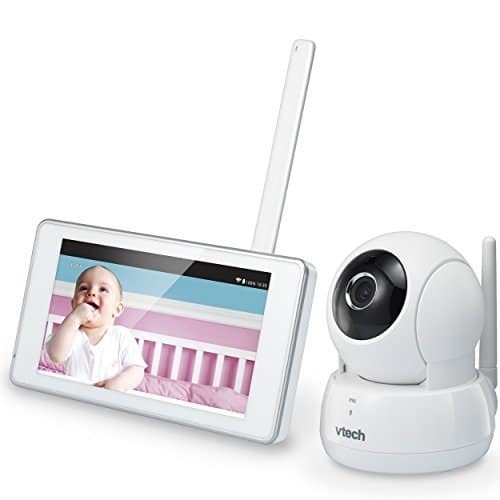 The VTech VM991 Safe & Sound Expandable HD Video Baby Monitor is a hybrid baby monitor. It features its own 5-inch touch-screen monitor, but it also offers a free mobile application so you can watch your child from anywhere you are by using your mobile device. It features a 720p camera with mechanical pan and tilt. It is easy to install and it also sports two-way audio. This is the ultimate monitoring device for extra protective parents. It has a full color 15fps CMOS video camera with IR night vision, tilt and pan, and zooming options. It has a 2.75-inch full color touch screen base unit and it also sports full temperature monitoring, night light and 200 meters range. It also features an adjustable sensitivity under-mattress sensor pad which is ideal for tracking movement. This is a 720p camera that you can use to check on your baby from your smartphone or your PC from anywhere you are. 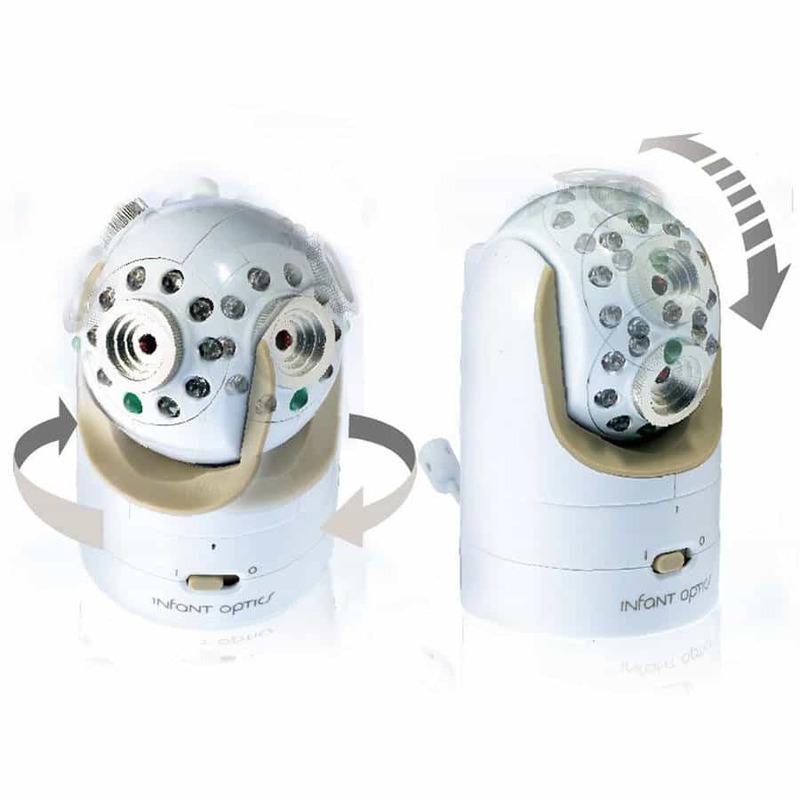 It is able to deliver relatively sharp daytime video and it also offers great black-and-white night video. You will get the option to set it up to record when it detects motion and sound. Unfortunately it lack some features that other baby monitors usually have such as the ability to play lullabies, the two-way audio, and the environmental sensors. This device offers you enough peace of mind in an excellent plug-in design. The DECT signal makes sure that you get home phone quality audio. Even if you won’t be able to enjoy the freedom of battery power, you will know all the time where your device is at least. You’ll find it plugged into the wall somewhere in your house. It has up to 50 meter indoor range with out-of-range notifications. It also sports a high-sensitivity microphone and an ECO mode with night light. Using this device you might just have a better chance of getting back to sleep if your baby is crying without having to go to their room. It features crystal clear DECT audio and its range is 50 meters indoor and 300 meters outdoor. You can choose from nineteen lullabies to soothe your baby or to turn on the mini light show that will project onto the nursery wall or on the ceiling. It also features a temperature monitor, and you can also plug in your mp3 in it if your baby’s tastes are more Metallica than Old MacDonald Had a Farm. This is the perfect solution in case you don’t want to carry your baby home monitor somewhere with you. You will just need two iOS devices, and you will also have to download the application. One of the devices will have to be placed near the crib, and it will stream real-time audio and also a camera images every 30 seconds to the other device. This really is a cheap solution and also an effective one. This is a premium digital video monitor that will offer the ease of a touch-screen parent unit. It also has the option to slot in an SD card (which is not included) for recording photos and also videos. 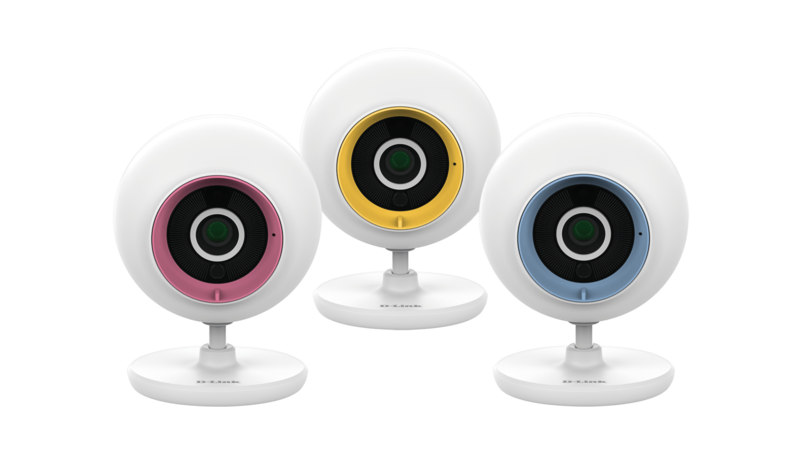 You can link up to three more cameras, and this is ideal in case you have twins or triplets. The picture quality could maybe be a little sharper, and the menus could also be friendlier with the user, but the unit features a pretty decent range of 250 meter and sensitive audio monitoring. You have the option of adjusting the camera’s positioning even if there is no remote pan function. On the other hand, you get the option to zoom in and out. More features of this device include two-way communication, a night light, lullabies, and temperature sensors. The monitor looks and also feels robust, and you will get a lifetime warranty in case you decide to purchase it. 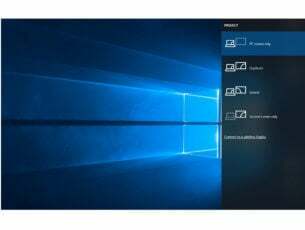 This digital video monitor makes the advanced security its selling point as it guarantees 100% digital privacy through the use of encrypted technology. It is very easy to use, and you have to charge it for five hours before you are ready to go. This portable parent unit features some functions that are pretty easy to use without having to read the instructions manual every single day. The night and day night vision displays are not crystal clear, but we can say they’re reasonable enough. You get the option of turning off video and switching on to audio. The camera lacks a pan function, on the other hand. Ore features include two-way communication, a selection of lullabies and a changing color starry sky projection, soothing nature sounds and also EU plug adaptors. This will turn out to be an excellent choice for traveling abroad thanks to its EU plug adaptors. It has a range clear of 200 meters, and it is reduced for the indoor locations. The device also comes with fixtures in case you want to mount the camera on the wall in your baby’s room. All the devices that we listed above are reliable, easy to use and they offer an impressive range of functions and features to justify your investment. So, analyze them all and pick the one you think will turn out the best for suiting all of your needs to stay relaxed and your baby’s safety.